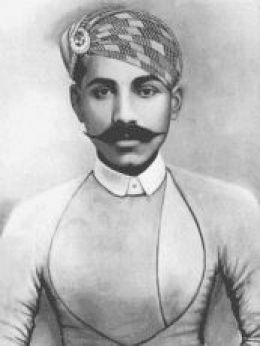 Thug Behram (or Buhram), of the cult in India known as the Thuggee cult, is deemed as the world"s most prolific serial killer. In many instances it is said that he murdered some 931 victims by strangulation. He turned his of murder into a 40 year career as a serial killer between the years of 1790-1830. Victims were strangled using his cult"s ceremonial cloth, rumal, the Hindi term for handkerchief. It was later said that Behram was merely present during the 931 murders as he was the leader of the Thuggee cult. The gang was comprised of some 25 to 50 men in whom half a dozen of those men lived for the strangulations. Behram"s statements have never been verified and Thug never went to trial for any of the murders due to the fact of having turned King"s Evidence and agreed to inform on his companions. A second account of a Thug Behram confession has him confessing: "I may have strangled with my own hands about 125 men, and I may have seen strangled 150 more". Leader of a gang of Thugs in Avadh, India, who confessed to participating in 931 individual murders and to having personally strangled approximately 125 men. Thug Behram serial killer is a male serial killer. King of the Thugs is a male serial killer. Buhram, Buhram Jemedar is a male serial killer.